Many students apply to US universities every year but do you know how many options you have? America boasts the most diverse and one of the biggest educational systems in the whole world, with 4,000 and plus universities and colleges to choose from. About 800,000 international students from the world over come to study in the US every year. Eligibility requirements for BS/MS/ Ph.D. courses, like you need a four-year degree to apply for MS degree. Tests: You need to prepare for TOEFL/IELTS/GRE/GMAT/SAT/ACT etc. Keep your GPA and class rank high. It's number one criteria to get admission to a good school. Make sure you have a source of supporting education, you probably won't prefer to waste time in preparing and applying for the exam unless you have a source of financing your education. You may get a scholarship but there is no guarantee. Last step is applying for a visa (once you receive admission from a school), again it's better to have a backup plan in case if your visa is rejected. Determining what course or program you want to pursue, is an ideal way to begin your search for universities. Even if you're unsure, many American universities will allow you to be a part of them, letting you pick your study major field later on. Discover what subject areas or classes the university needs from all students and then see if these are the classes that you're willing to complete. Quality of the educational institution also plays a major role, which can include: average class size; faculty-student ratio etc. Finally, ensure that both the academic program and the institution you are taking into consideration are accredited American universities, which are recognized by 1 of the six regional recognized organization, while the academic programs/courses are accredited by 1 of the sixty programmatic accrediting firm. TOEFL is waived for countries whose native language is English Like UK, Australia, Canada. For Foreign Nationals three letters of recommendation (sealed), copies of official transcripts (sealed) (Note: Some Universities accept verified copies by a notary) are required. For working people, they may get two letters from current Employers, but generally, Letters from Professors are preferred. For admission to Masters Program (Graduate Program) in the US ..most Universities require undergraduate (BS or bachelor's degree ) GPA to be 3/4 (US system). It is equivalent to 80/100,12/20*(China) and 1st division,65%*(For most Indian Universities). Please see GPA section for conversion.Most universities will require TOEFL (from students where the native language is not English) and GRE (or GMAT for MBA). Some universities may just need TOEFL. The deadline for the fall semester is from Dec 15 to July. But apply as early as possible. Many decisions are made before the deadline. Foreign nationals may take up to 8 weeks to hear their results. In-state students may hear within 5 weeks. 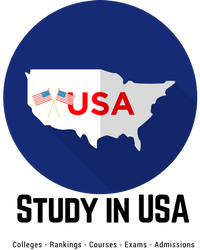 The cost of study (Tuition and fees) in USA varies from $5,000 to $50,000 (or more depending on Course/Degree) per year. Majors like Medicine and MBA have higher tuition fees as compared to Engineering. The cost of living depends on location. For example States like Washington, California and area around New York is costly. In general the cost of living may vary from $6,000 to $15,000 (or more per yr). Renting an apartment can vary from $450 to $1,000 (or more). Downtown (Chicago) may costs around $1200 for a studio while it may be around $400 for Des Moines (IA). It is assumed that students will live in shared apartments, live out of campus and have low telephone bills and other expenses are at bay. Most of (nearly) all expenses Living only not Tuition fees) can be met while working on-campus jobs. The hourly pay for on Campus jobs Pays from $5 to $15 (sometimes more) per hour. Foreign Students can work for 20 hrs per week and 40 hrs per week during summer. Students may be allowed to work out Campus after nine months of their arrival in the USA. Students receiving any aid like TA/RA/Fellowship or GA don't have to worry about costs. But Students not receiving any scholarship must come prepared for Tuition Fees and Living cost for initial 2-3 months. In some Universities TA/RA cover part of tuition fees and not all tuition fee is waived. universities close to cities (or in cities) have ample P/T jobs. Note that in some universities like the University of Missouri, Rolla (they recently changed the name), and University of Texas-Arlington there is a huge shortage of P/T jobs. So students planning to go to these universities must either have scholarships or adequate Funds. It's better to contact current students via email for latest information. Please note: You might get admission in Top 20 University (without scholarship) so be prepared (at least for first semester's expenses). Apply to Universities wisely. Find details of each state and list of Universities and community colleges.